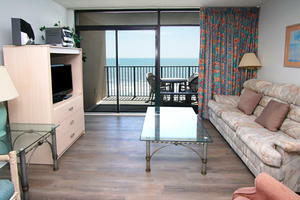 CONWAY, SC – Located west of North Myrtle Beach Shaftesbury is just off Highway 22 on Highway 905. 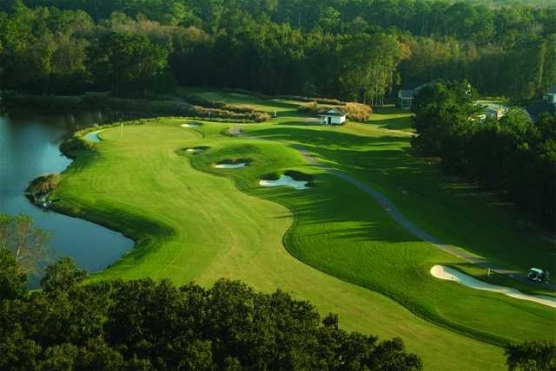 Popular with both locals and visitors the course is convenient to the beach, but flows quietly through farmlands and forests along the Waccamaw River. I’ve had the good fortune to play this venue dozens of times. There are three specifics that virtually every golfer will immediately realize after playing Shaftesbury. The width of the fairways is quite generous. The bent grass greens are immaculate putting surfaces. Sand bunkers are large, deep and have great sand. Knowing all of this we should shoot career rounds. Right? Wide-open fairways with few bunkers provide a clear vision of virtually every hole. Minimal doglegs and fairway hazards give the bombers an advantage on this 6445-yard (white tees) Clyde Johnson designed masterpiece. Before you grip it and rip it keep in mind what your high school math teacher taught you. The shortest distance between two points is a straight line. A 250+ yard drive off center simply adds additional yardage to an elevated, well-bunkered green. In the true fashion of a British Isles course the front of the Par 4 and Par 5 greens are open allowing and encouraging a pitch and run shot. Driving off center immediately takes that shot out of play. Your second shot forces a carry over those magnificent sand hazards that protect the sides of the green, often to a narrow green. No. 10 is a great example where placement far out-weighs distance. At 338-yards from the white tees the initial instinct is to bust a drive and have only a short iron into the green. Not so fast my friend. Those traps that protect the left side of the green are deep and a sure carry may have trouble holding the green. The best play is to drive center right fairway and utilize the greens depth to hold that second shot. On all holes where driver is in play position your tee shot to take sand traps out of play. For my game all the Par 5s and many of the Par 4s are three shot holes, preferably none being from sand bunkers. Shaftesbury may have a wide-open, inviting look, but accuracy off the tee sure contributes to a favorable score. The Shaftesbury bent grass greens are very, very good. The putting surfaces always seem to be in superior shape, regardless of the time of year. Maintaining bent grass greens at a high level in this climate deserves praise. In preparing for this review we played on a Sunday that followed two days of heavy rains. The greens were soft and held quite well. During hotter months these elevated greens may not hold quite that good making front placements particularly challenging. Regardless of the time of year, you can be assured Shaftesbury greens will be in first-class shape and putt extremely well. Speed is essential and good lag putting is necessary. One word of advice – don’t be in a hurry to give the hole away. Depending on pin placement you may have a tendency to see more break than actually exists. No. 8 and No. 15 offer some superior Par 3 golf challenges. At 185 and 177-yards from the whites you can play them a half-dozen times and never hit the same club twice. Elevated greens, tee and pin placements and the elements all combine to provide a strong test. Make sure of your yardage and choose your club wisely. The Par 5s are your chance to score pars and even birdies. Averaging about 500 yards in length to elevated greens, each is a 3-shot hole for the average golfer. No. 3 deserves its 3-handicap as water on the left can catch an errant second and even third shot. No. 16 requires good placement both off the tee and second shot to assure a perfect angel into this narrow green. The Par 4s provide some interesting variety. No. 7 presents a realistic birdie opportunity, while No. 9, the number 1 handicap hole is as fine a golf challenge as you’ll see. Likewise No. 10 is an opportunity to score, while No. 18 is a great finishing hole where bogey is not shameful. Shaftesbury is both a good beginning course, or a good finishing course to your visit. After a winter layoff it’s perfect to find your swing and putting tempo, catch a little sand practice and not be to concerned with scoring. On the flip side it’s a perfect finish to your trip when shot placement and selection have been toned-up and score matters. Regardless of your intent, add Shaftesbury Glen Golf & Fish Club to your play list. You’re going to enjoy this one.